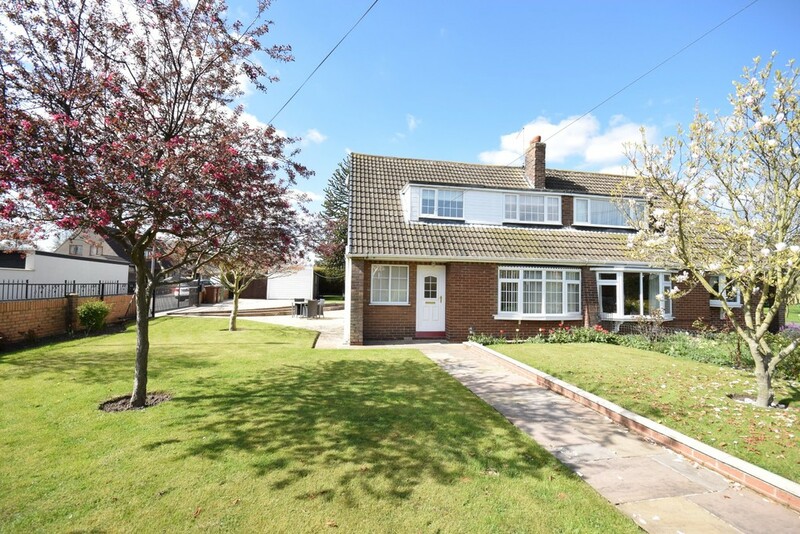 **SEALED BIDS INVITED ON THIS PROPERTY BY 12 NOON WEDNESDAY 24TH APRIL 2019**A THREE BEDROOM semi detached house in a popular location of Ackworth, close to local amenities including schools. Set on a generous sized corner plot with lawned gardens to the front, side and rear with ELECTRIC GATED DRIVEWAY providing ample parking leading to a DETACHED GARAGE. 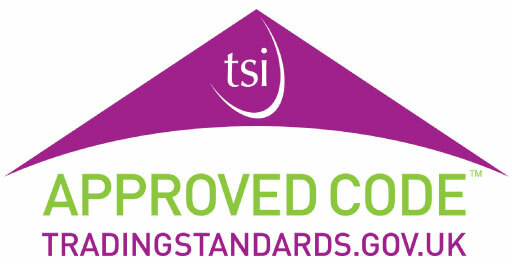 Awaiting EPC rating. A three bedroom semi detached house in a popular location of Ackworth, close to local amenities including schools. Set on a generous sized corner plot with lawned gardens to the front, side and rear with electric gated driveway providing ample parking leading to a detached single garage. Internally, the property is spaciously split over the two floors and only by an internal inspection can one fully appreciate the size, quality and location of this ideal family home. The accommodation briefly comprises entrance hall, living room with archway to the dining room, kitchen, conservatory and downstairs shower room/w.c. to complete the ground floor. To the first floor, there are three generous sized bedrooms and the main house bathroom/w.c. Ideally suited to the professional couple, family buyer or more mature person alike and an early viewing comes highly recommended. ENTRANCE HALL UPVC double glazed front entrance door leading into the entrance hall. Staircase to the first floor landing, central heating radiator, UPVC double glazed window to the front, ceiling coving and understairs storage cupboard. SHOWER ROOM/W.C. 5' 2" x 4' 11" (1.57m x 1.5m) Three piece suite comprising shower cubicle with tiling to the walls and mains feed shower, low level flush w.c. and corner wash hand basin on a vanity unit. Tiled floor, UPVC double glazed window to the side, central heated towel rail and ceiling coving. KITCHEN 11' 10" x 10' 0" (3.61m x 3.05m) A range of high and low level kitchen units with solid wood butchers block work surfaces and an inset 1.5 bowl stainless steel sink and drainer. Plumbing for automatic washing machine, integral dishwasher, integral double electric oven with five ring gas hob and extracting filter hood, integral fridge and freezer, UPVC double glazed window to the side overlooking the patio and garden, downlight spotlighting and ceiling coving. CONSERVATORY 12' 3" x 9' 2" (3.73m x 2.79m) Of brick and UPVC double glazed construction with polycarbonate roof, power, lighting, windows to three sides and French doors to the patio and garden. DINING ROOM 11' 10" x 12' 0" (3.61m x 3.66m) plus door recess UPVC double glazed patio doors to the rear patio and garden, central heating radiator, ceiling coving and open archway to the living room. LIVING ROOM 13' 9" x 12' 10" (4.19m x 3.91m) UPVC double glazed bay window to the front overlooking the garden and street itself, central heating radiator, ceiling coving and wall lighting. Feature fireplace with timber surround, marbled hearth and back housing a living flame gas fire. T.V. and telephone point. FIRST FLOOR LANDING Access to three bedrooms and the house bathroom/w.c. UPVC double glazed window to the side overlooking the garden, ceiling coving and archway. MASTER BEDROOM 15' 6" x 10' 7" (4.72m x 3.23m) max UPVC double glazed dormer window to the rear overlooking the garden, ceiling coving, central heating radiator and T.V. cable. BEDROOM TWO 11' 5" x 8' 0" (3.48m x 2.44m) Two UPVC double glazed windows to the sides, ceiling coving, central heating radiator and loft access for additional storage. BEDROOM THREE 8' 2" x 7' 10" (2.49m x 2.39m) max UPVC double glazed dormer window to the front overlooking the garden and into the street, central heating radiator. HOUSE BATHROOM/W.C. 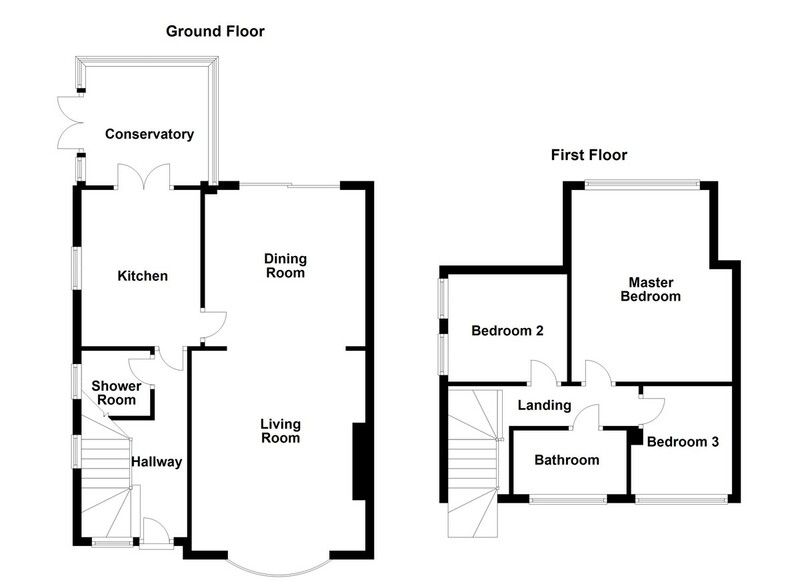 8' 9" x 4' 10" (2.67m x 1.47m) Three piece suite comprising feature bath with mixer taps, vanity unit with inset ceramic wash hand basin and low level flush w.c. Tiling to the walls and floor, UPVC double glazed window to the front and central heated towel rail. OUTSIDE To the front, pedestrian gated access with paved pathway leading to the front entrance door. The front garden is primarily laid to lawn with mature plants and trees. Down the side of the house there is dropped kerb access leading to the electric gated concrete driveway and ample parking for several cars leading to a detached single garage with electric door. The side is primarily laid to lawn with paved patio seating area. The rear garden is enclosed and again mainly lawned with hedged boundaries and additional patio seating area off the dining room.